Heavy mixed precipitation is expected. Total snow accumulations of 5 to 7 inches and ice accumulations of around one tenth of an inch expected from 6 am Tuesday to 6 am Wednesday affecting portions of Northeast New Jersey, Southern Connecticut and Southeast New York. Plan on slippery road conditions and a long period of snow, sleet, and freezing rain. The hazardous conditions will impact the morning or evening commute. 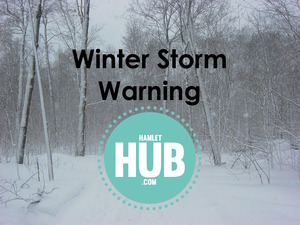 A winter storm warning means significant amounts of snow, sleet and ice will make travel very hazardous or impossible. Check local department of transportation information services for the latest road conditions.